Hello Guys, today, I am going to share some of the good database and SQL server books which are freely available on the internet for reading online or download as PDF. If you have been reading this blog then you know that I love books, I love to read books and I love to collect books that's why I have a big online and offline library. Many people question me do I really find to read all books which I share? Well, I don't read all books page by page, unless and until its something like Effective Java or Clean Code. I mostly skim through books and stopping on interesting and new things, which I don't know or probably have a misconception, but I do like to refer books many times. If I skim through a book, I know where can I find more information about a particular concept and then I explore it in more depth. I have learned a lot of technologies, programming languages, database, and frameworks by reading books and that's why I also love to share good resources whenever I find them, particularly free ones. Microsoft SQL Server is one of the popular databases along with Oracle and MySQL and I have used it a lot in last a couple of years. I like to write SQL query and optimize it and that's why I always read books on databases. In this article, I am going to share 4 free books, first is about database performance tips for developers, perfectly suited to me and many Java developers who write stored procedures, queries, and SQL scripts and this is one of those books, which I think every developer should read. The second book in the list is about SQL code smells, which talks about common SQL practices which every programmer should avoid dealing with the database. It contains 119 code smells and I think the list is probably growing to 150, you can find more SQL code smells on their website. This is again a good book for all developers who write SQL queries or deal with the database. The third and fourth book is about Microsoft SQL Server database, one focus on transaction log management, probably an advanced concept for many developers but very useful for DBAs and the second one is an introductory book on Microsoft SQL server 2014 database. A good book if you want to learn SQL Server from scratch. Without any further Ado, here is a list of free Database, SQL and SQL Server books for developers. The list is by no means exhaustive and first, a couple of books are really short which you can finish in a couple of days but they are also packed with a lot of useful information which every programmer who writes SQL query or works with the database should be aware of. Description: This book is a collection of some of the best SQL Server performance tips and tricks recommended by some of the smartest minds in the Simple Talk community, including SQL Server MVPs. 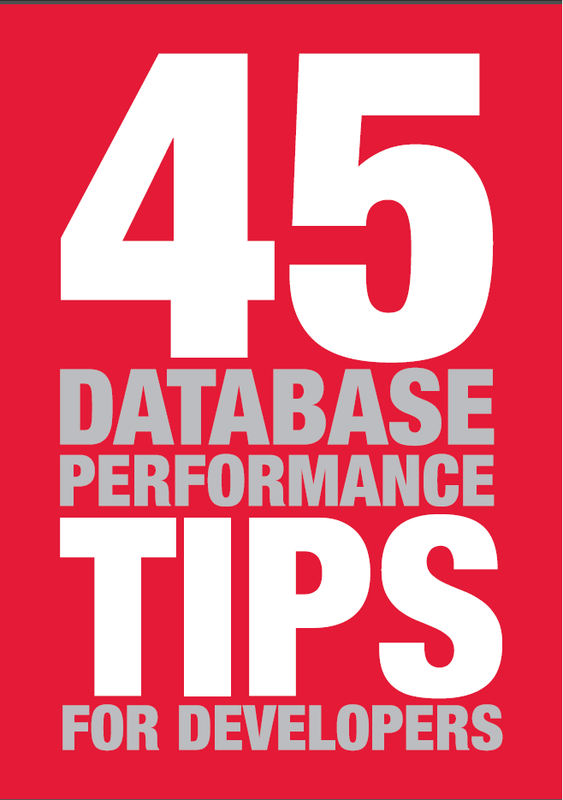 This book will immensely help you to improve your application's database performance. Big thanks to @RedGate for providing this book for free. You can download this book as PDF and read offline. 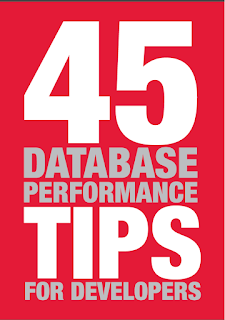 You can also check their website for more database performance tips. Btw, if you are more interested in tuning SQL queries for better performance then SQL Tuning course on Udemy is also a good resource. 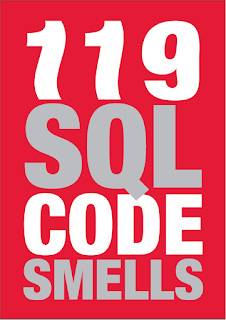 Description: The 119 SQL Code Smells is a handy reference guide from Redgate written with advice, help or contributions from over 25 SQL Server professionals, including programmers and DBAs. This book covers 119 common SQL code smells, code which we write every day but don't realize its bad. This book helps you understand why they smell and the problems they may cause. I strongly recommend every developer to read this book because SQL is an essential part of programming career and knowledge you will gain by reading this book will serve you for a long time. Btw, if you are not familiar with SQL itself then The complete SQL BootCamp course on Udemy is a good starting point. Description: This is a great book about SQL server transaction logging and particularly useful for DBAs. It covers performing transaction log backup and restore monitoring and managing log growth, including quick diagnosis of the causes of rapid growth, and optimizing log architecture to maximize log throughput and availability. 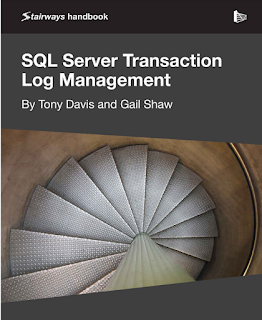 You can download SQL Server Transaction Log Management, by Tony Davis and Gail Shaw, for free in pdf format from Red Gate Software. Once again big thanks to Red Gate for providing these quality books for free. Btw, If you are a new DBA and interested in SQL Server management skill then SQL Server Administration course is a good place to start with. It's a multi-part course but quite good from the admin perspective. 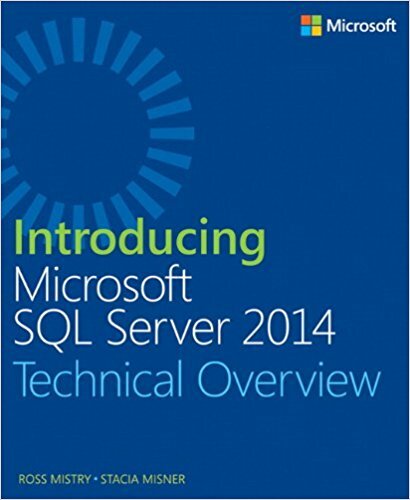 Description: This is one of the best free e-books to learn Microsoft SQL Server 2014 by Ross Mistry and Stacia Misner. Unlike most of the eBooks which are either older or not relevant, this book is both latest and relevant because it covers Microsoft SQL Server 2014. 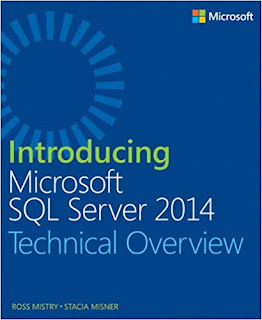 The free Introducing Microsoft SQL Server 2014 book is for programmers, business analysts and anyone who has an interest in SQL Server 2014 and wants to understand its capabilities. There are many new improvements have been made to SQL Server 2014, but the book covers only essential ones, hence its size is just right for casual reading. In short, one of the best free SQL Server eBooks for both database administrator (DBA) and application developers. Btw, if you prefer online courses then book then Microsoft SQL for Beginners on Udemy is also a good place to start with. That's all about some of the best free books and eBooks to learn some SQL and Database best practices along with Microsoft SQL Server database. As I said, the first two books are seriously good and I recommend every programmer and application developer to read those books, not once, but twice. They are just too good and summarized years of experience in just a few pages. The last a couple of books are good to start with Microsoft SQL Server database and learn the transaction logging in detail. Thanks for reading this article so far. If you really like this article, then please share with your friends and colleagues. If you have any question or feedback, or any other great free eBook to share then please dro a comment.